ISM History - ISM: Industrial Steel & Manufacturing Inc.
E. Mario Scarpino’s passion for the Steel Industry began when he was 10 years old, where he built his first Steel wood burning oven in his parent’s garage. At 15 years old, he began working as a steel fabricator. A year later, at only 16 years old, Mario hitch hiked his way to Alberta where he began working in the Oil Industry working on seismic rigs, drilling test wells. Working hard in the Oil Industry for two years and saving everything he could, Mario moved back to the West Coast of British Columbia, where he soon after met the love of his life (and soon to be wife), Patricia. Mario worked at Nanaimo Sheet Metal on Vancouver Island for two years, continuing as a Steel Fabricator. After 2 years, Mario and “Trish” saved enough money and moved back to Vancouver. He worked at Teck Steel, where he began his apprenticeship. Soon after, Mario was lured to Coast Steel Fabricators (now Amec Dynamic Structures) where he completed his Steel Fabricator Apprenticeship in 1984. 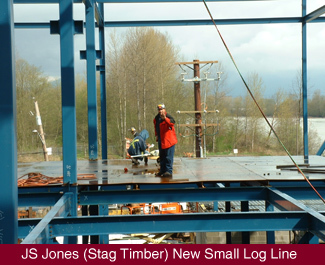 After a brief stint at WeldCo (now Weldco-Beales), Mario joined Stag Timber in 1986, working as a Millwright. In 1987, Mario began his journey in the Construction Industry. After 5 successful years of building homes, local Construction began to flatten off, so Mario moved back to Stag Timber, where he worked for a further 4 years, as a Steel Fabricator and Millwright. 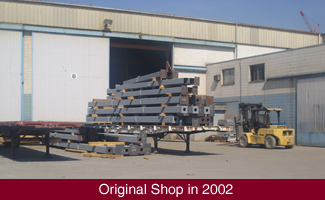 Mario started as Business Owner in 1998, where he founded EMS Steel supplying and installing miscellaneous metals. His reputation as a skilled Steel Erector enabled his business to grow rapidly. In 2002, ISM – Industrial Steel and Manufacturing began. ISM’s first facility was a 6000 SFT warehouse which allowed them to Fabricate and Install larger projects. 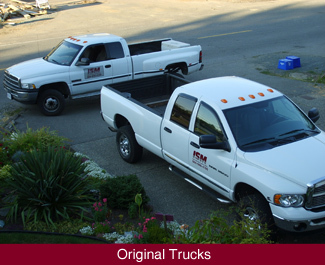 As ISM continued to grow their reputation as a skilled team of Steel Fabricators and Erectors, the business continued to flourish. After a few years ISM expanded to an even larger 14 000 SFT facility. Continually establishing themselves as a trusted partner on larger steel projects, ISM required more manufacturing space. In 2005, ISM expanded into an even larger 20 000 SFT facility. After 7 years, and outgrowing their current facility, ISM was again in need of a large facility to keep up with the demand generated by their quality craftsmanship and professional business relationships. In 2012, on ISM’s 10th Anniversary, Mario purchased Harris Rebar’s large facility in Tilsbury Industrial Park, located in Delta, British Columbia. 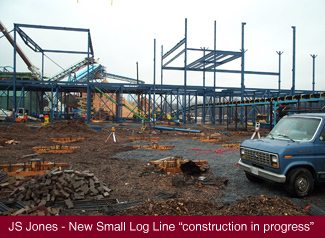 This 2.6 acre site included a large 35000 SFT Structural Steel and Miscellaneous Metals Shop. 445 FT of generous crane way and 4 large overhead cranes enable efficient fabrication and logistics, while the 50000 SFT secured yard allows for safe material storage. A “clear span” of 80 FT “side to side” allows ISM to partner on even the largest projects. Mario continues to invest in Steel Fabrication technologies which improve efficiency, profitability, and over-all customer satisfaction. In January 2014, a large new 42” CNC Structural Steel Saw was installed, capable of processing all Steel Sections produced in North America, including 40” Wide Flange Beams! A month later, in February 2014, a new CNC Plate Processing machine was installed. With continued growth, future plans include upgrading the current CNC Structural Steel Drill Line with an even more efficient 3-Axis Robotic Drill Technology. After 40 years, Mario Scarpino’s love affair for steel continues to flourish. With younger generations playing important roles in the business, ISM is well positioned for long-term growth and profitability, for generations to come. Mario is still happily married to Trish and is enjoying all his grandchildren. From multi-thousand ton projects, to miscellaneous metal requirements, throughout all stages of the project cycle, ISM continues to be the Steel Construction partner of choice.